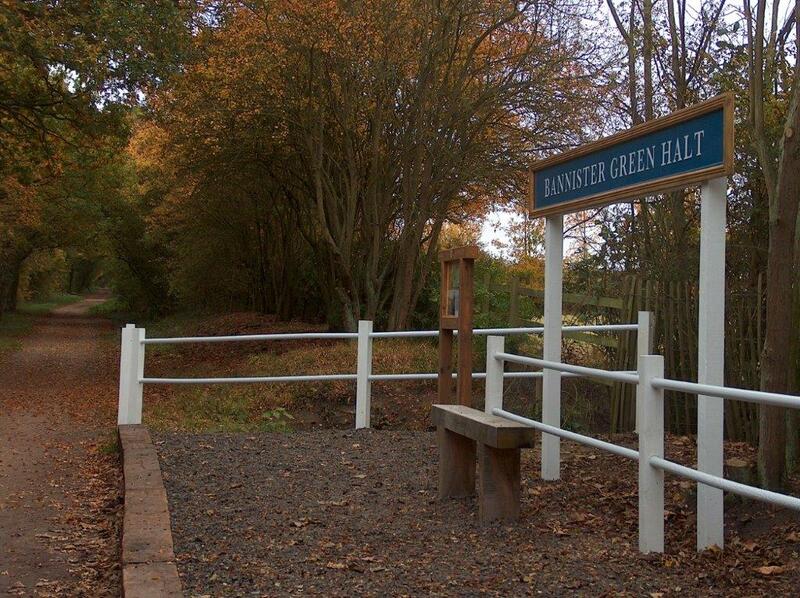 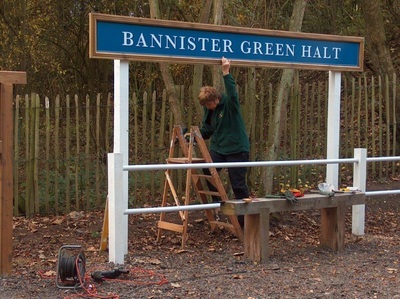 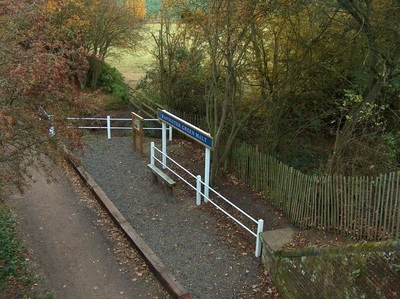 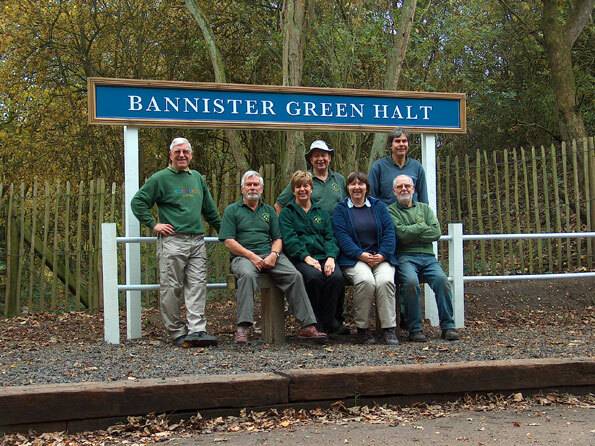 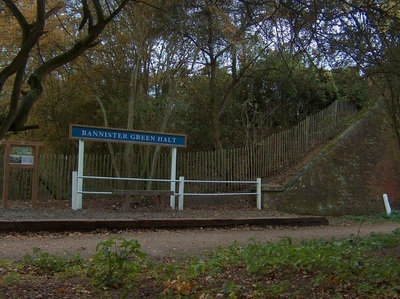 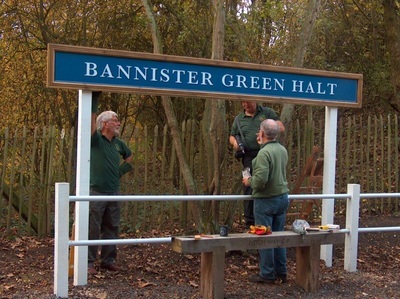 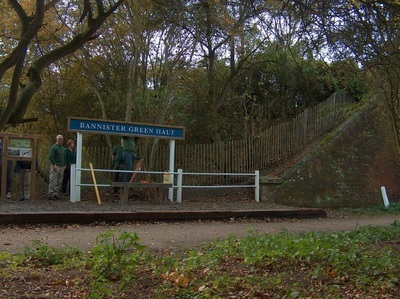 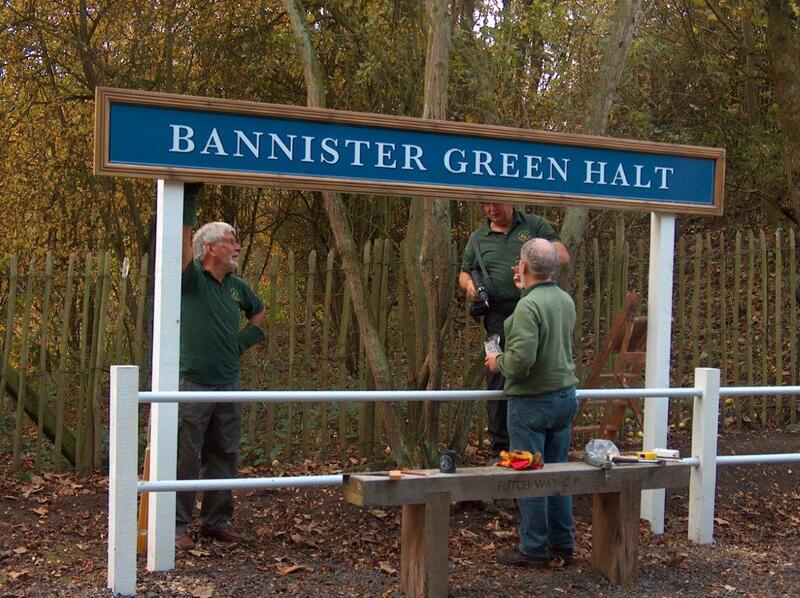 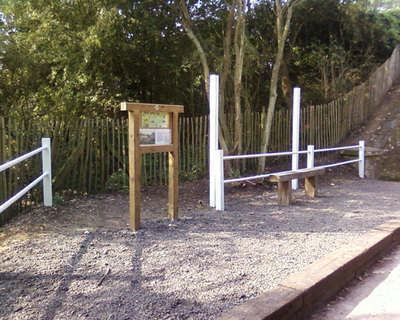 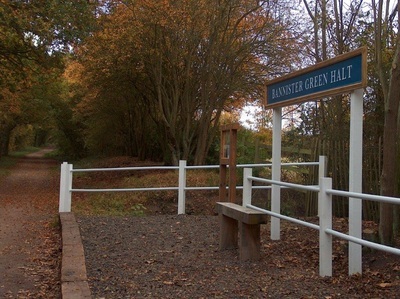 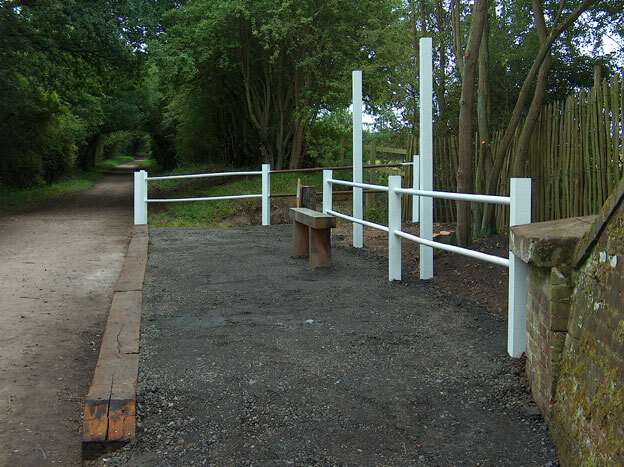 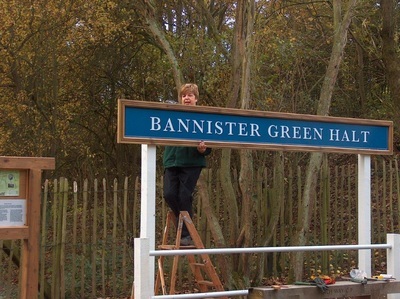 ​Bannister Green Halt near Felsted was the first reconstruction attempted by the Friends in July 2011. 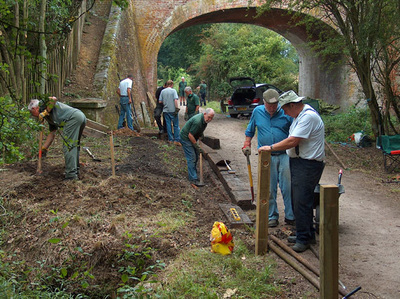 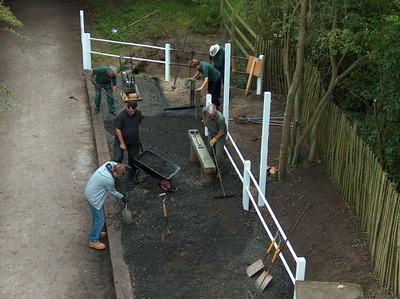 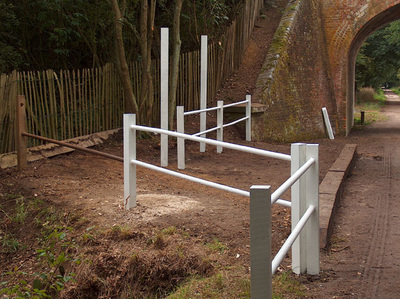 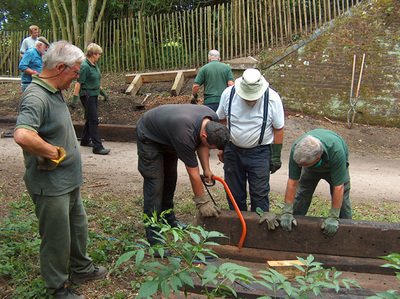 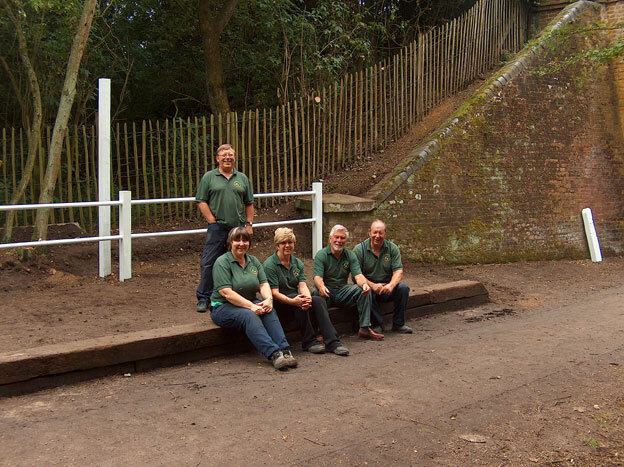 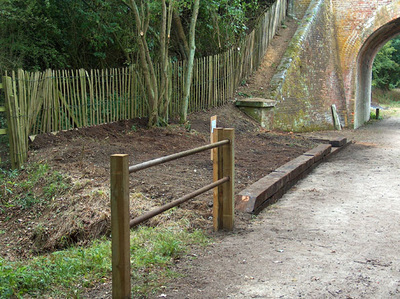 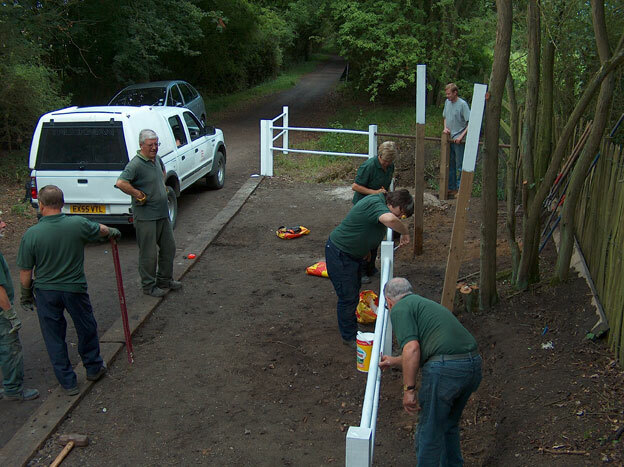 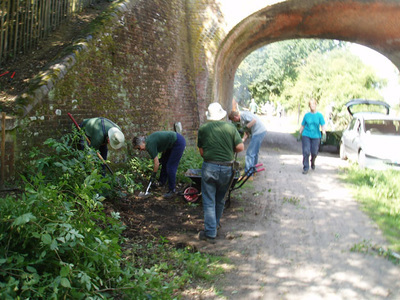 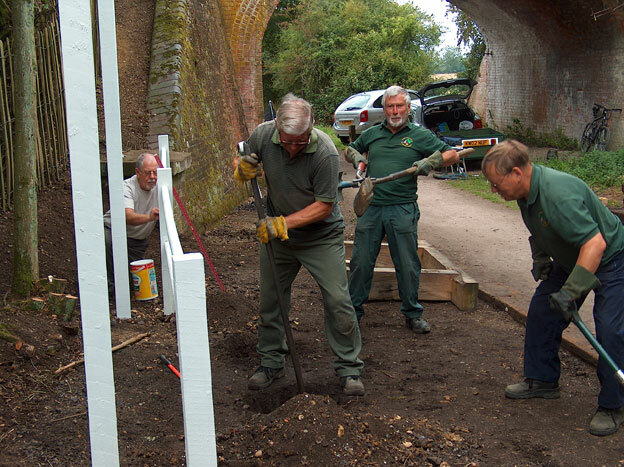 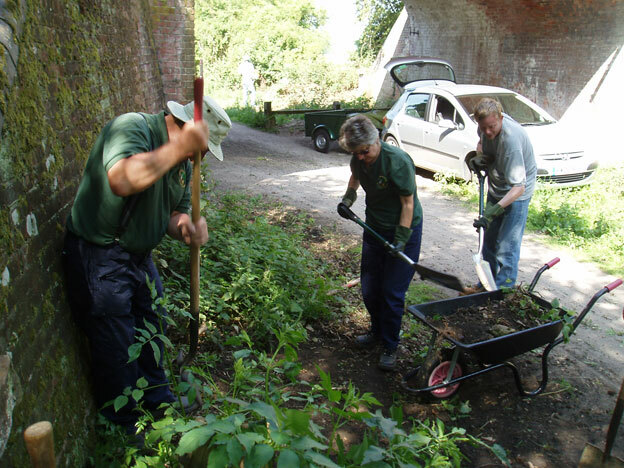 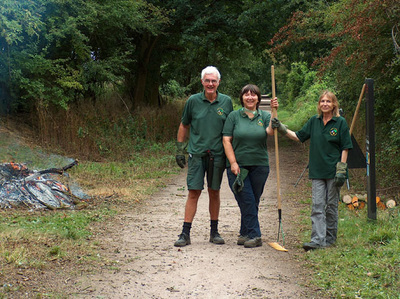 A large team of volunteers arrived and started work to prepare the site ready for the work that needs to be done to re-instate the Bannister Green Halt similar to how it was when the railway was in use. 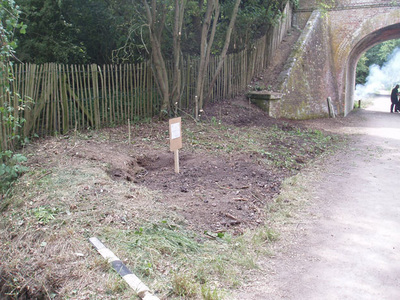 There was a lot of work to be done by clearing the existing undergrowth before we could see the line of where the Halt should be. Jim spent some time showing the plans of the Halt to a passer by and also telling him about our new Flitch Way leaflet. There was a lot of wood to clear away and burn so Andrew set to work. By the end of the day the site was cleared ready for the next work party. 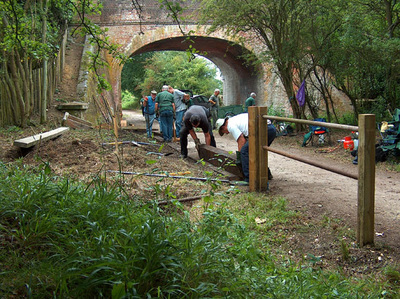 The team returned to start work on rebuilding the Halt. 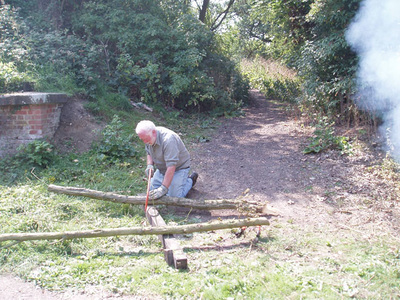 By the end of the day it had really taken shape. The team set to work again. This time the rangers and 3 lads on work experience came along to help so we had a huge team of workers willing to give a hand. Before too long the holes had been dug for the fencing and the posts were almost in place. 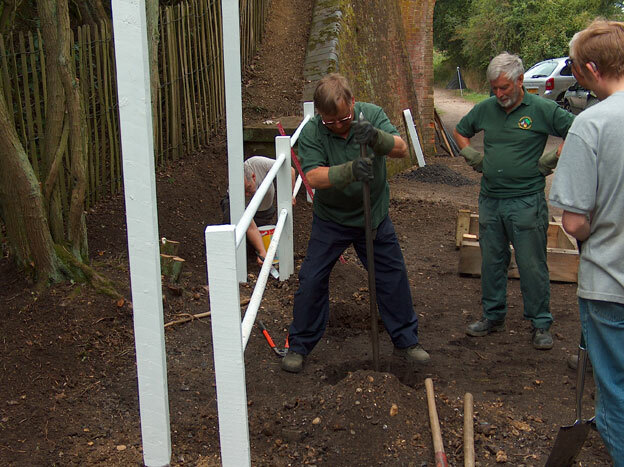 Stan made some adjustments to the scaffold poles linking the fence and John and Jim checked that the height of the end post was correct before it was cemented in. Most of the fencing had been completed so Wendy, Stan and Pauline started on the painting. The posts that will be erected to hold the sign are the only job left to be done today as time was running out. 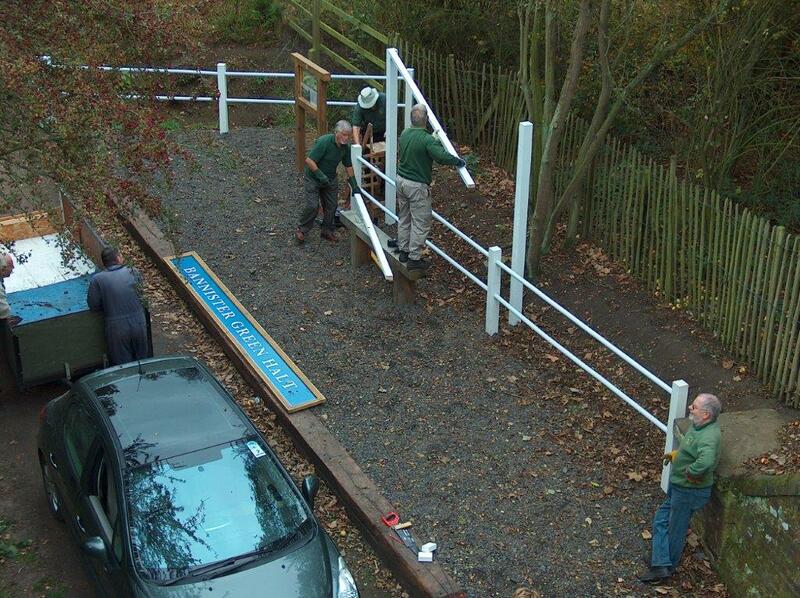 All the posts were in by the end of the day so there is just one bit of fencing to be completed next week. 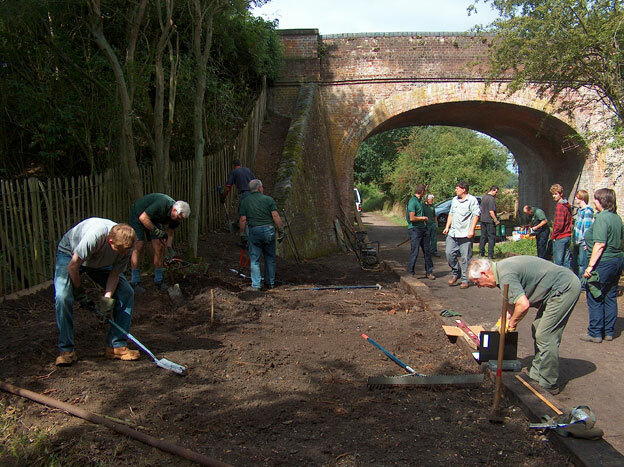 a huge team of workers willing to give a hand. Wendy, Stan and Pauline started on the painting. 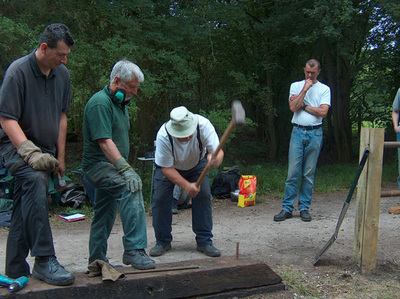 The team start putting in the bench. 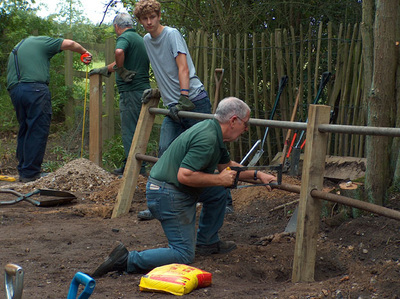 Pat sets to work digging the holes. 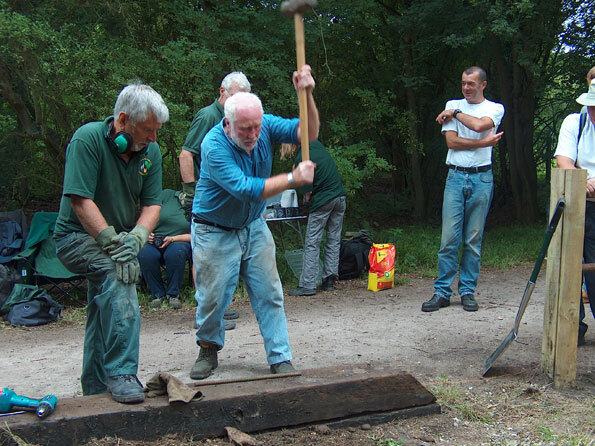 It is quite hard ground so Carl takes over while Jim larks around and Pat makes encouraging noises. The bench is in and the landscaping material laid down ready for the road planings to go on. 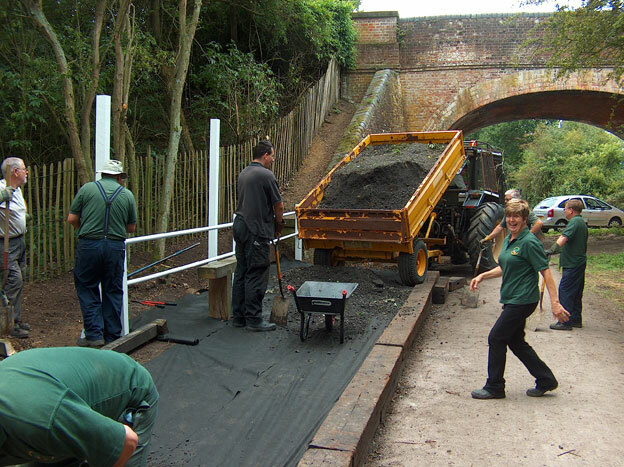 Everyone lends a hand to smooth out the planings so John can use the impactor to make the surface hard. 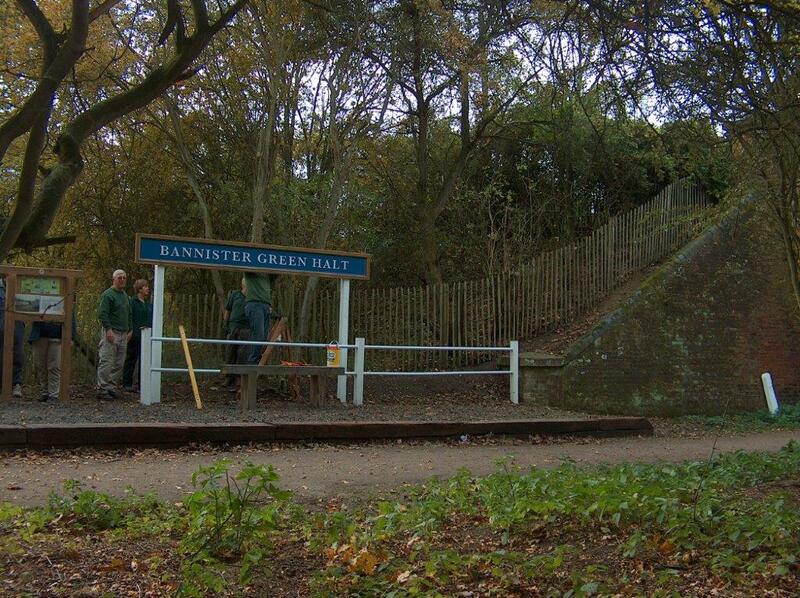 At the end of the day it looks quite good we still have a few jobs left to do though. 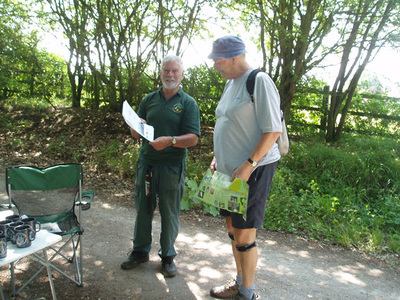 Carl takes over while Jim larks around and Pat makes encouraging noises. 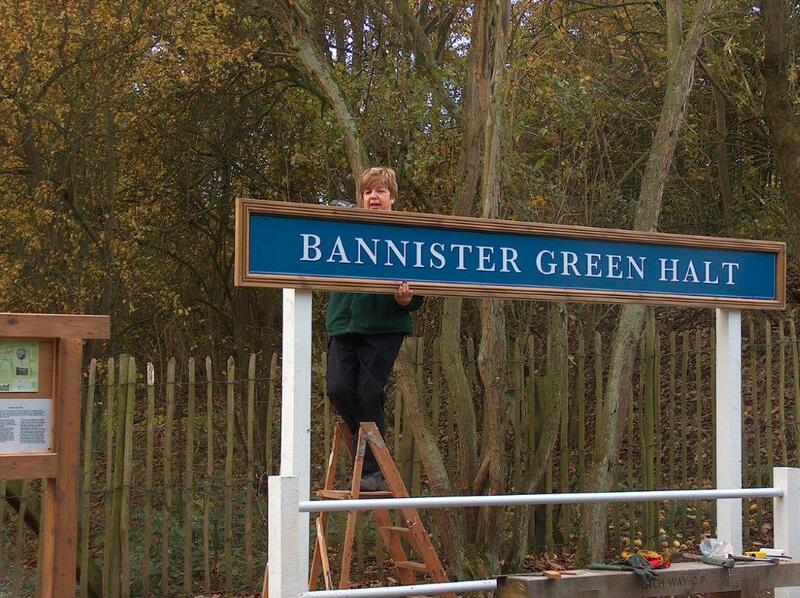 The work is all completed with the installation of the new sign board.